Every month, I get a package of fresh organic fruit as part of the fruit of the month club. (Thanks, mom and dad!) This month, I received a giant box of sweet and juicy nectarines. I made a fruit salad with some of them, mixed with blueberries and raspberries from the CSA. 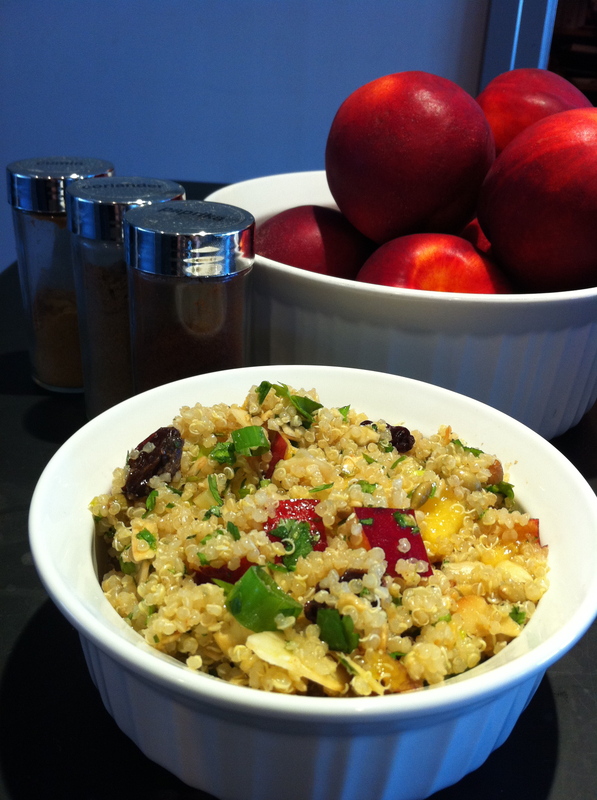 I also wanted to incorporate the nectarines into a savory salad as well. This salad is protein-packed, vegan, and gluten free. A triple threat. Grain salads can be a little bit more work than green salads because you need to cook the grains. I recommend making a large batch of grains ahead of time, and keeping it in the fridge. Then you have ready-to-go grains which you can use for salads throughout the week. 2. Boil 1 2/3 cups water and then add quinoa. Bring to a boil again, and then reduce heat to a simmer and cover. Cook for 20 minutes, or until the “halo” separates from the seed and all of the water has been absorbed. 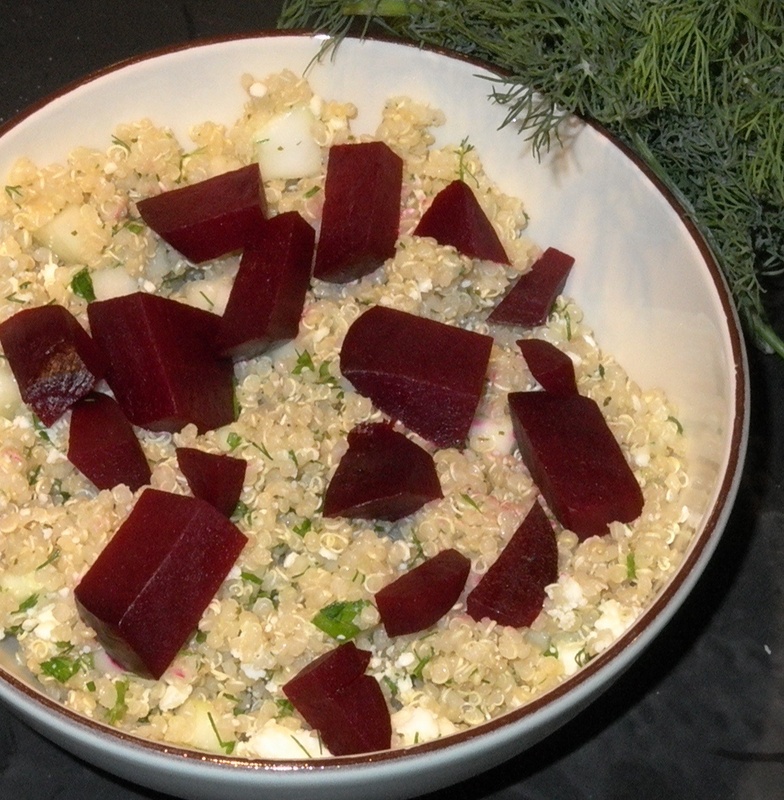 Spread quinoa out on a baking sheet, and allow to cool completely. 3. Toast the almonds and pumpkin seeds on a skillet over medium heat, tossing occasionally. They are ready when the almonds start to turn golden, and the green pepitas begin to turn brown .Watch closely, as they will both burn quickly. Remove from heat and let cool. 4. Mix the quinoa with the rest of the salad ingredients. 5. To make the dressing, combine all the ingredients through paprika. Then, slowly whisk in olive oil. Add salt and pepper to taste. 6. Toss dressing with the salad, and serve room temperature or chilled.